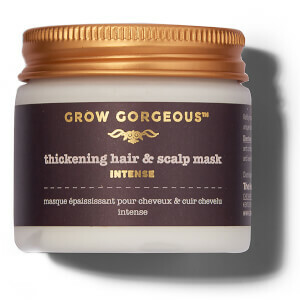 Perk up dull, limp and lifeless locks with the Grow Gorgeous Back Into the Roots 10 Minute Stimulating Scalp Masque. 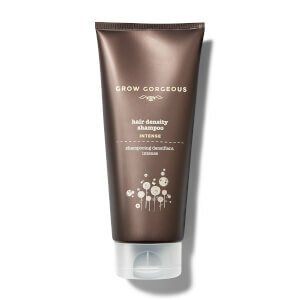 The intensive deep conditioner works its magic in just ten minutes, utilising an advanced combination of Biotin and Hyaluronic Acid to hydrate and nourish, effectively filling in sparse fibres within each hair follicle to promote a thicker, fuller appearance. 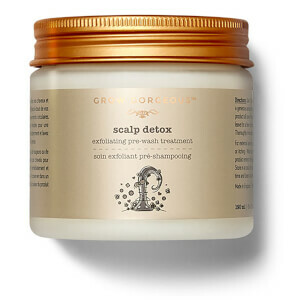 Caffeine and Menthol provide a tingly, cooling sensation that stimulates blood flow in the scalp, encouraging healthier looking regrowth and revitalised body. 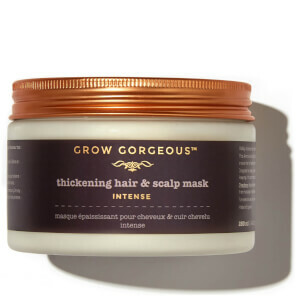 Perfect for when your hair needs that little extra TLC, the hair mask results in lustrous, replenished tresses with gorgeous shine and supple movement.